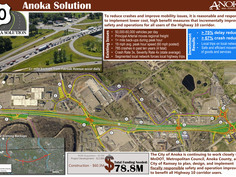 By: Eric Johnson, Transportation Project Manager, Bolton & Menk, Inc.
You likely have a drawing of an improvement project that has been hanging in your office – paper yellowing, curling corners – which you hope to someday build. If only you could convince everyone that it’s the appropriate solution to one of your community’s biggest issues. How do you get your priorities known, funded, and ultimately constructed? I’m talking the most complex problems likely involving multiple agencies or have no apparent solution with a reasonable price tag. We all see other projects funded and wonder how, when there are so many more needs that should be addressed first. What makes a project stand out and become realized? 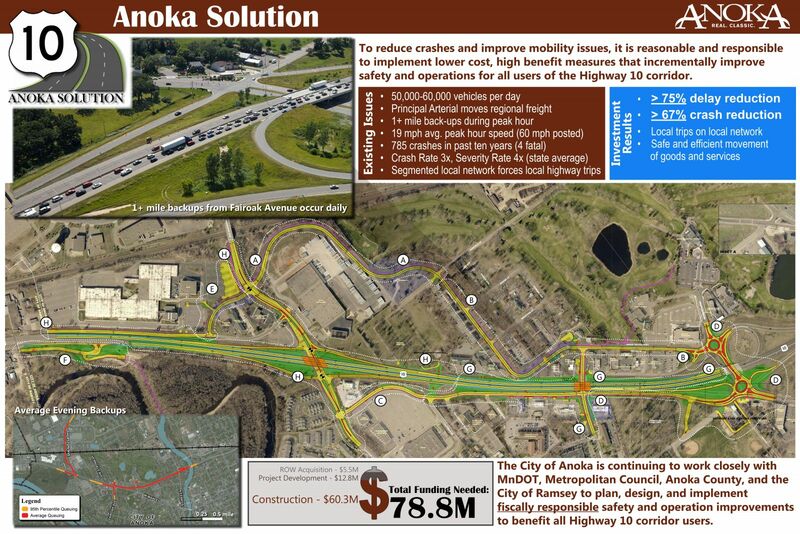 “Highway 10 through our community has plagued local and regional travelers for decades, resulting in countless hours of congestion and too many lives lost. Different freeway visions over the past two decades proved too large of an investment for any one agency. Think of one of your needs – be honest. Erase the solution you have in your mind and focus on the problem. Forget about whose responsibility different components of it may be. There is a problem. How big is it? What is at the root of the issue? How well do you understand it? How well do the other project partners understand it? How well do the public and elected officials understand the issues? If you are going to generalize the problem and demand a solution, you will likely continue to wonder why your project is never funded. If you really want to make a difference, consider diving into the problem. Don’t do this alone. Study it, from many different perspectives. Discuss with affected agencies, the public, anyone who feels action is needed. After you have a handle on the perceived problem, further study it and determine what the true underlying issue is. If this step is completed incorrectly, the remaining steps will be unsuccessful. The more detailed you can understand the exact issues, the better you will be positioned to communicate the issues and develop an approach to tackle it. In this process, you will generate a complete understanding of the issues and begin generating momentum. We now have a common problem that is understood. Now that benefiting agencies understand the problem, it’s time to develop a cost effective solution. Developing solutions that completely solve the problem are easy. Developing solutions that hit at the root of the problem, are supported, fundable, and perhaps implemented in stages, is far more challenging. If you are going for the complete solution or only focused on your needs, you may as well stop now. As when it comes time to find the cash to finance it, you will be alone. One of the most important factors when developing a range of solutions is to make sure it is right-sized, solves the key issues, and that the scale of the problem greatly outweighs the solution. With this approach you will find you can solve a majority of the issues at a fraction of the cost of the original solution that has been adorning your wall for years. You have now fully defined and isolated the problems. You have full agency support, and in many instances they see the project benefits, which further opens opportunities for competitive funding sources and cost sharing. You have identified and included all stakeholders along the way. You have mobilized the public and elected officials. You have educated the public on the benefits that could be realized with a reasonable expenditure –the price of inaction, and the price of the complete solution. The project is proven responsible and reasonable. Competitive funding programs are seeking lower cost, high benefit projects. Your project is now competitive and funding will soon follow if you keep the momentum. Identify the key programs that align with the project. Meet with program administrators and influential people. You will certainly need to get creative to assemble a complete funding package. Take advantage of all opportunities. Once you have a key initial investment other funds should fall into place to ensure the delivery of the project. This process results in solutions being built with efforts expended by all benefitting agencies. This is not a compromise, rather the outcome of working together to actually make a change. If you continue to hold out for the “Big Fix” your picture on the wall will continue to fade. I challenge you to reassess what is on your wall. It is likely a great project, but out of line with the amount of resources it demands.